scjTiX | Vangarde Mardi Gras - Taste of New Orleans, Art & Live Music! Vangarde Mardi Gras - Taste of New Orleans, Art & Live Music! Mardi Gras at Vangarde - a FUN-raiser to support the mission of Vangarde Arts to inspire both artists and patrons to share in the creative process! Take a trip to the Big Easy... Jambalya, Shrimp Creole, Red Beans & Rice, King Cake, Beads, Masks and LIVE MUSIC featuring Josh Hoyer & Soul Colossal with special guests Aaron Kamm & the One Drops!!! 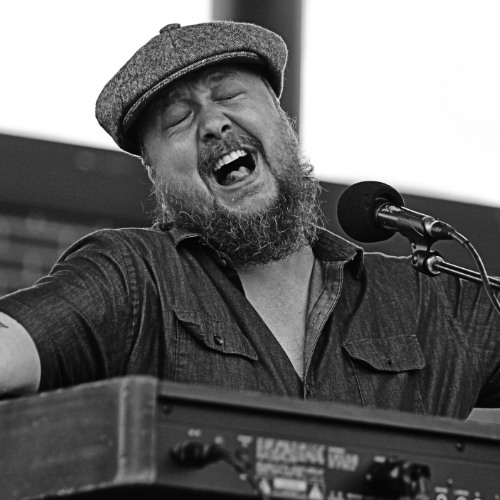 Hoyer and his band mates evoke the hard-boiled funk of James Brown, the Memphis howl of Otis Redding, and the percolating parade beat of New Orleans... Hailing from St. Louis, Aaron Kamm & the One Drops merge flavors of Roots Reggae, Mississippi River Blues, Improv-laced Jams, and Soulful Vocals. Your $30 ticket includes a drink, food and a night of FUN!! !